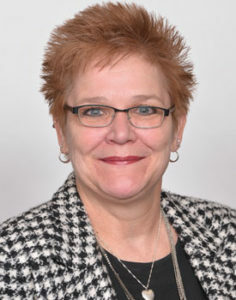 Maryjane joined AXIUS Financial in 2016, bringing with her over 30 years of experience in the financial services industry. Maryjane is the administrator and paraplanner for Steve Stillman. In this role, she gathers financial reports, client records, processes paperwork, schedules appointments and manages client communication. Maryjane also assists with client reviews, office projects and implementing client appreciation events as a part of the AXIUS Financial Fun Committee. Maryjane resides in Chesterfield with her dog, TJ, and cat, Dudley. She enjoys spending her free time with her daughter, Amber, son Andrew , and close friends.